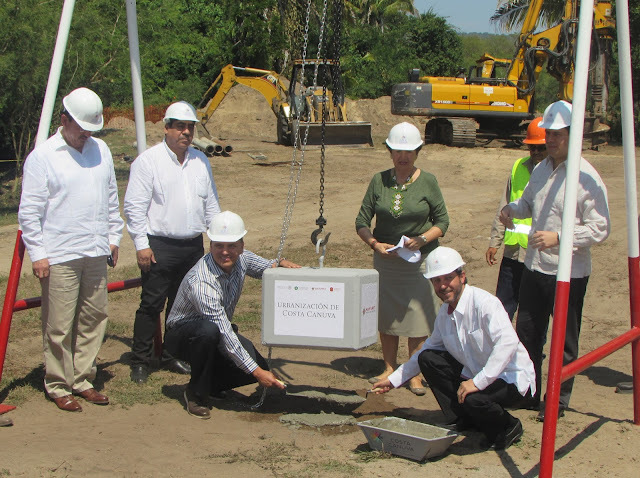 The total cost of the project is 1.8 billion dollars; the Mota-Engil capital investment represents 36 billion pesos; the first of five luxury hotels will be opened by Fairmont; it will be home to the first golf course co-designed by Lorena Ochoa and Greg Norman; Cristian Ronaldo will own a home within the development. On Tuesday, March 7, 2017, the cornerstone of the Costa Canuva project was laid; this is the newest Integrally Planned Resorts (CIP by its acronym in Spanish) in the Riviera Nayarit, which spurred the urbanization of this development located in Compostela that will be administered by the Fondo Nacional de Fomento al Turismo (Fonatur), Mexico’s national trust for tourism promotion. Roberto Sandoval, Governor of the state of Nayarit, led the event, along with Rafael Lang, Managing Director of Mota-Engil Turismo; Miguel Reyes, Managing Director of Fonatur; and Alicia Monroy, Mayor of Compostela. Also present, representatives of the three levels of government and several tourism industry special guests. During his speech the State Governor explained this was the result of important negotiations that brought an investment into what he called the largest and most important tourism complex in all of Mexico. The capital investment by Mota-Engil will be 36 billion pesos, and the project will generate over eight thousand direct and indirect jobs within the first two years. 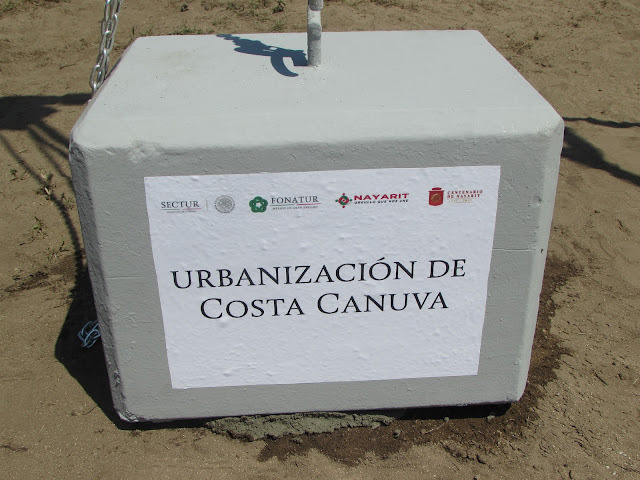 The Portuguese company chose Costa Canuva from among the different projects they have throughout 22 countries around the world thanks to its natural bounty and the national and international positioning of the Riviera Nayarit, but also due to the support of the three levels of government, which was key. Costa Canuva will encompass 556 acres and over four miles of beach and coastline; the first of five hotels will be opened by Fairmont; it will also have the first golf course co-designed by Lorena Ochoa and Greg Norman; Cristian Ronald himself will own a home within the development. The total construction for the development is expected to generate over seven thousand new rooms for the Riviera Nayarit with an expected total investment of 1.8 billion dollars.